BLOKFEST: Blokfest returns for 2015/16! After a lot of effort over the summer and some near misses we are super psyched to announce a 4th season of Blokfest at 5 fantastic world class venues around the South/ South West of the UK. 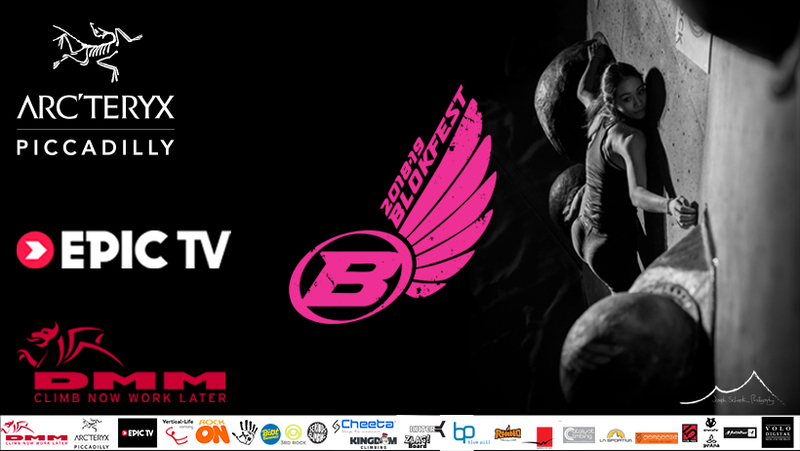 It was a close call this year whether we could make it happen and as always Blokfest takes some serious string pulling, negotiating and time to make these events possible for you guys but we are full steam ahead now and look forward to what is surely going to be the most epic climbing festival series to date. This year we are psyched to be working with Bloc Climbing in Bristol along with the 4 other awesome venues we visited last year. After two fantastic events at the brilliant TCA Bristol we look forward to bringing you another new venue this season just around the corner at Bloc. Make sure you get that February date secured in your diary! (and all the others) *obviously*! Between now and the first event at the Westway in November we will be working closely with our partners and sponsors to guarantee this season Blokfest is not to be missed. We will be opening the online registration in October so be sure to check back for updates. Until then check out some of these high lights video from the awesome Volo Digital to get your training psyche on.